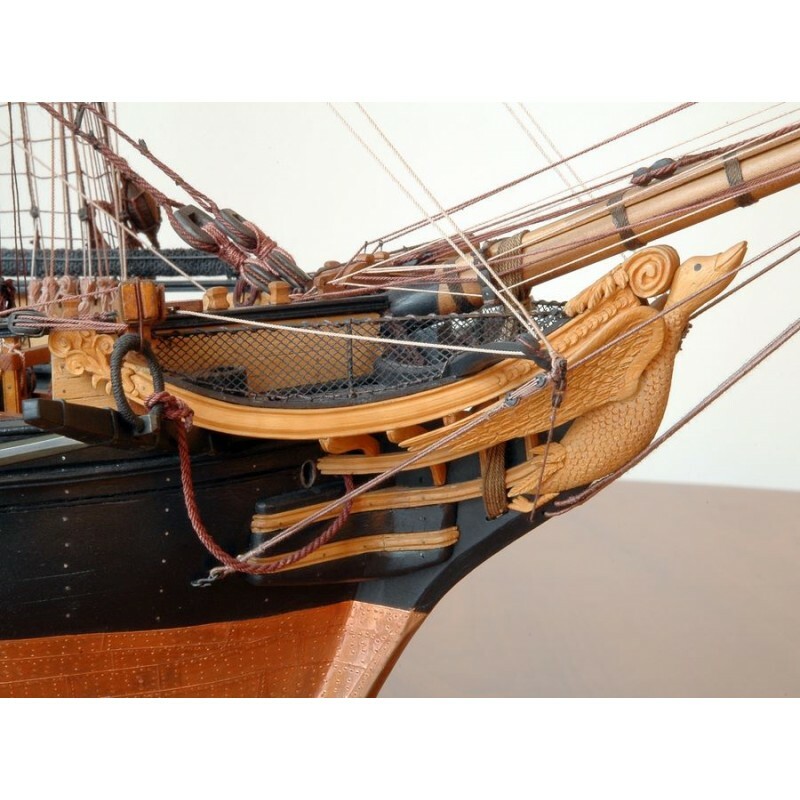 This monograph of the brig LE CYGNE (The Swan) represents a ship's type of the imperial navy. 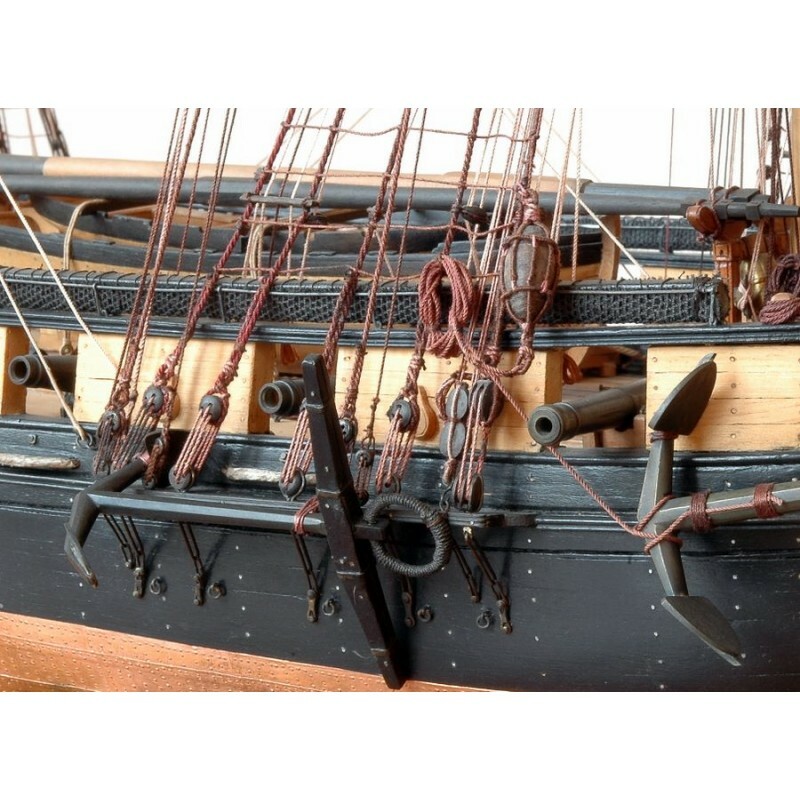 Armed with two 8-pdr guns and fourteen 24-pdr carronades, construction of LE CYGNE was begun in Le Havre at the end of April 1806. 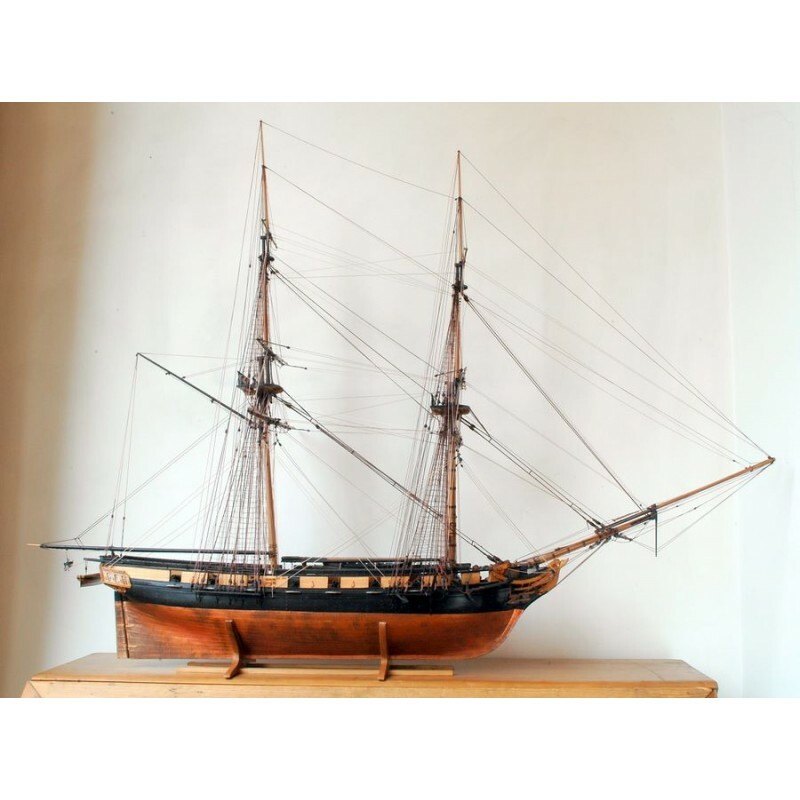 She was launched on 12 September of the same year by the builder Jamez, based on the engineer Pestel's plans. 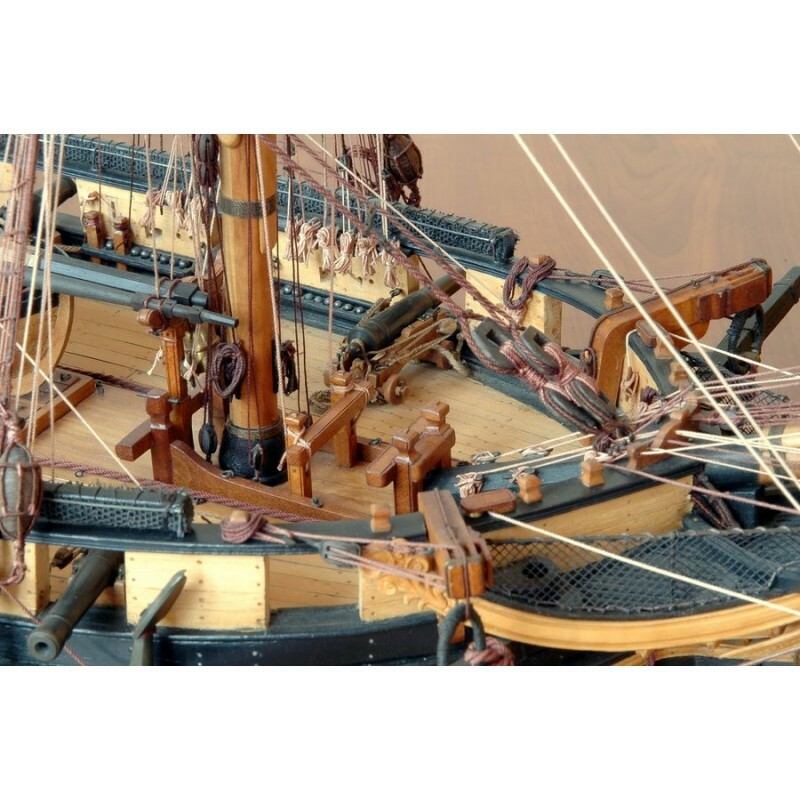 90 feet in length, with a midship beam measuring 26 feet, 6 inches, a depth of 13 feet, 6 inches, this ship is one of the most representative of the brig called a 24-pdr in the French Navy (the caliber of the carronades in the main armaments). 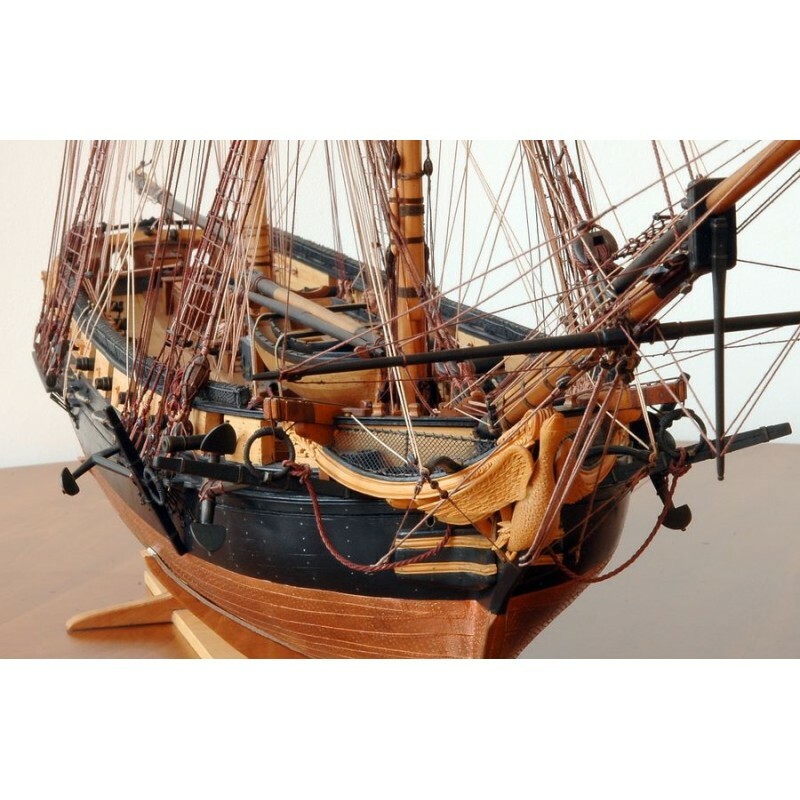 Approximately 60 such ships were built during the period 1801-1813. 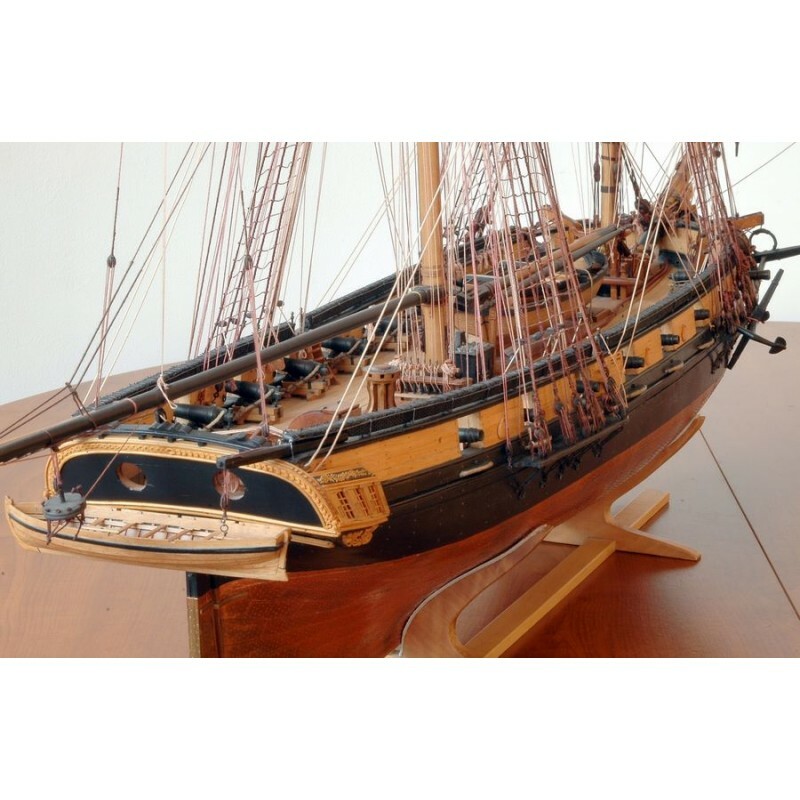 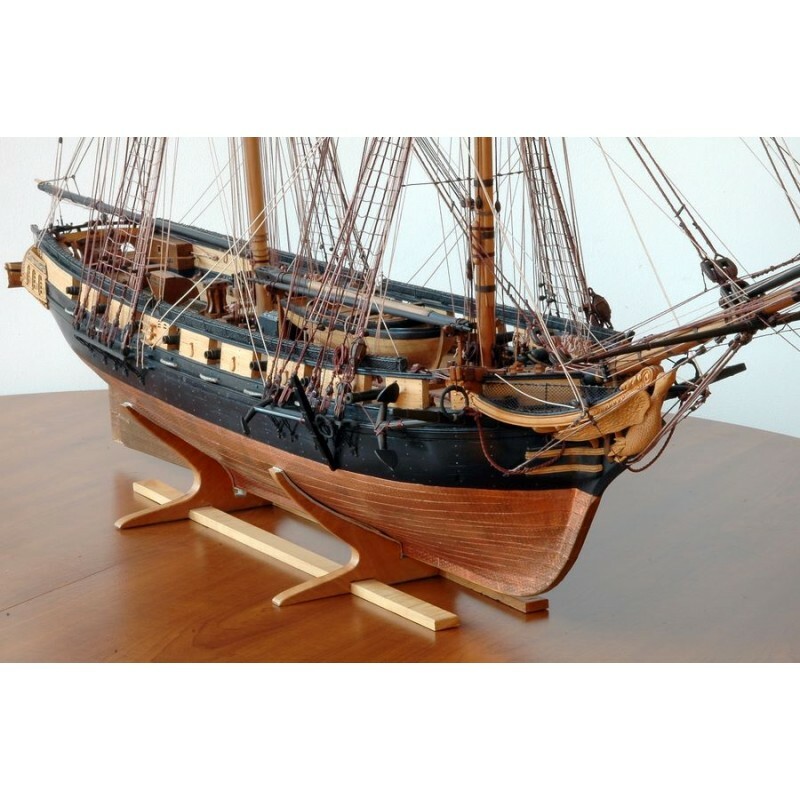 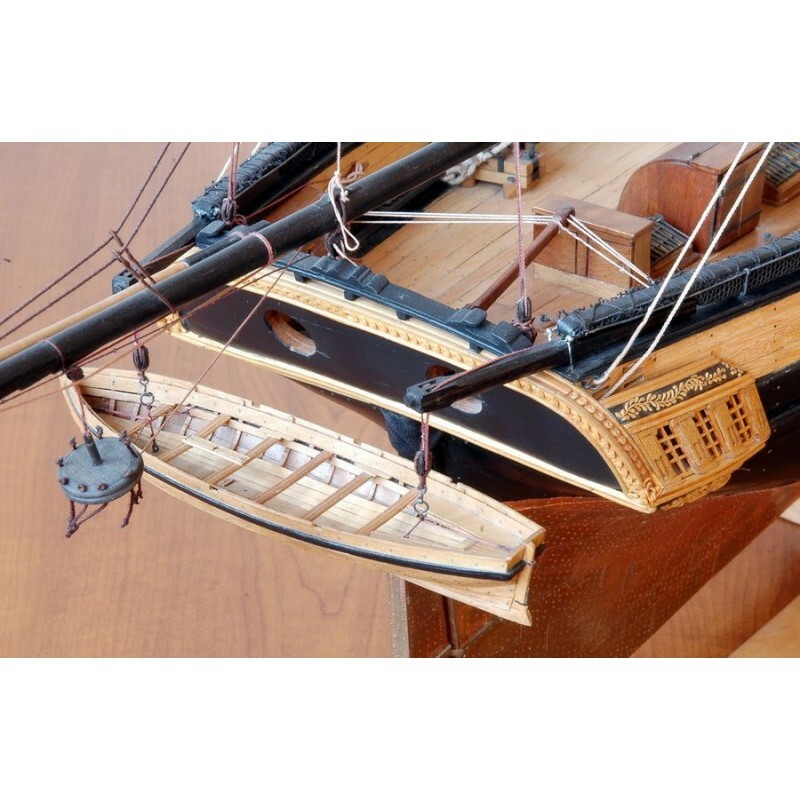 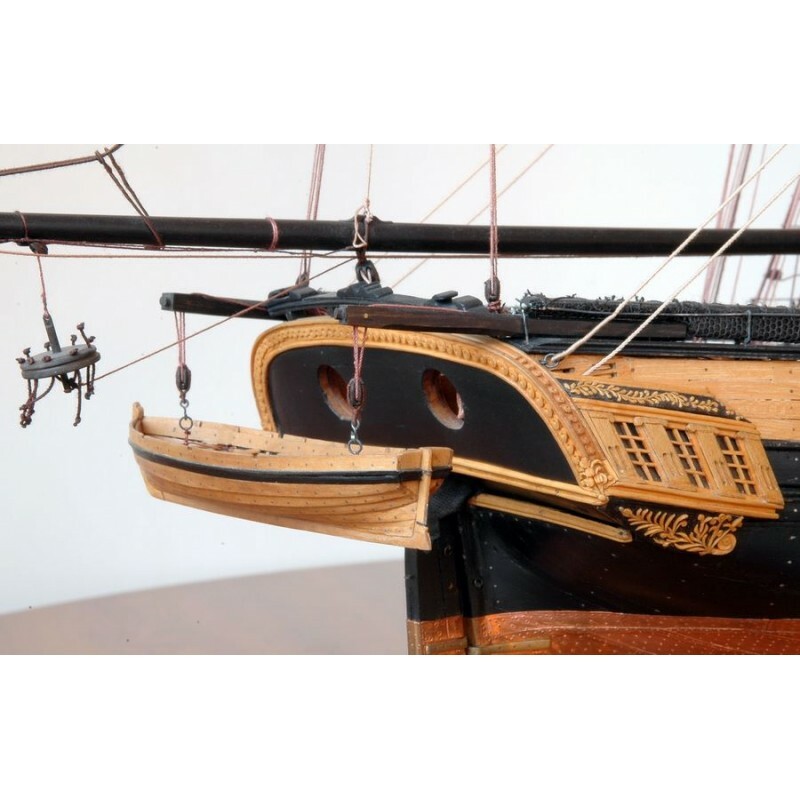 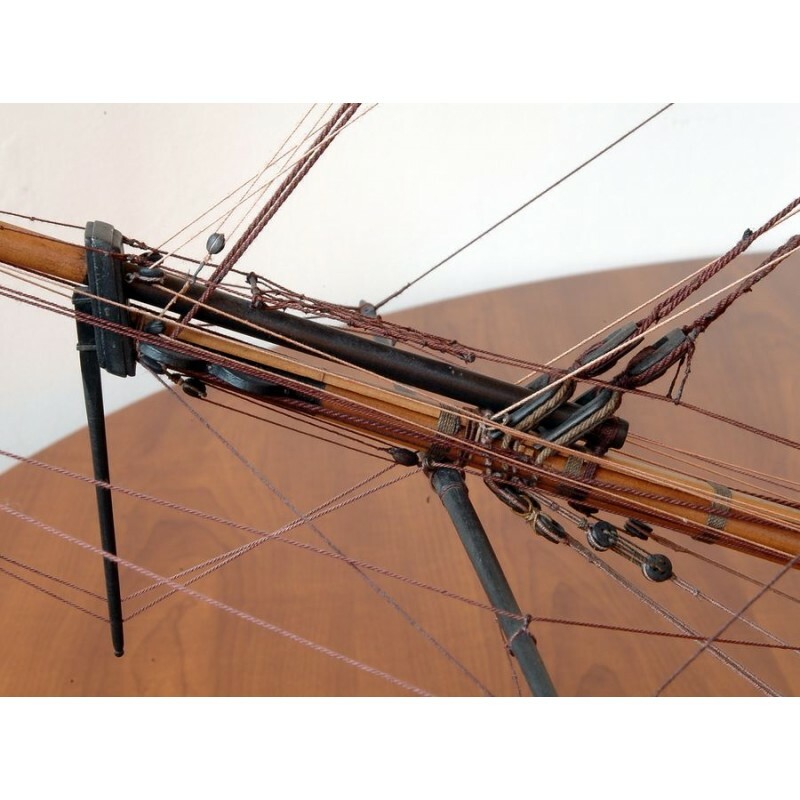 A very fine model of LE CYGNE in the Musée de la Marine in Paris (MG13) enabled us to illustrate our work with vivid details that only a period ship's model could provide. 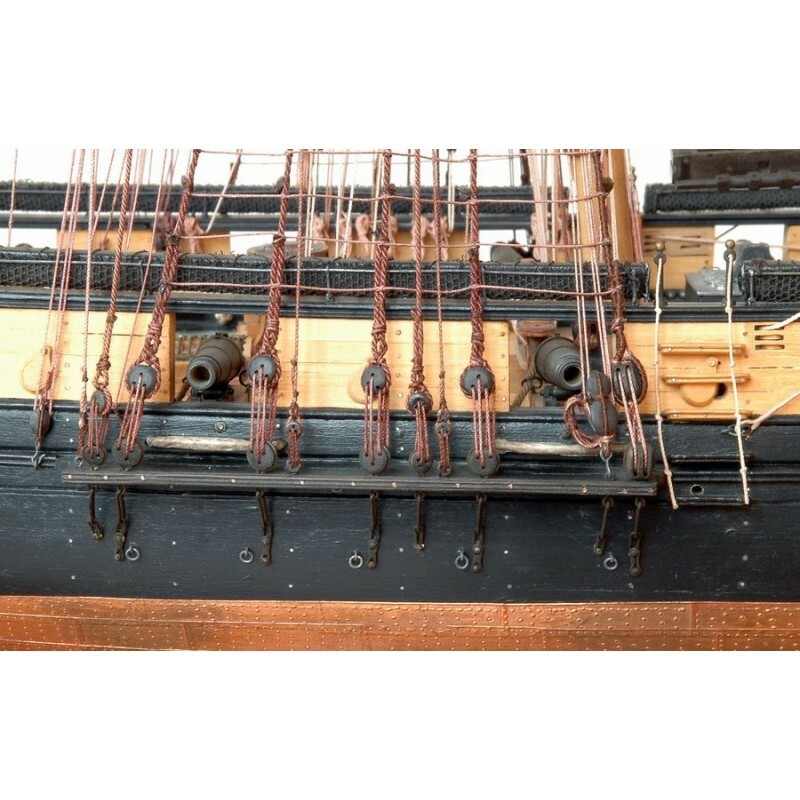 Moreover, we were able to choose from the extremely rich documentation (plans of the hull, superstructure and rigging). 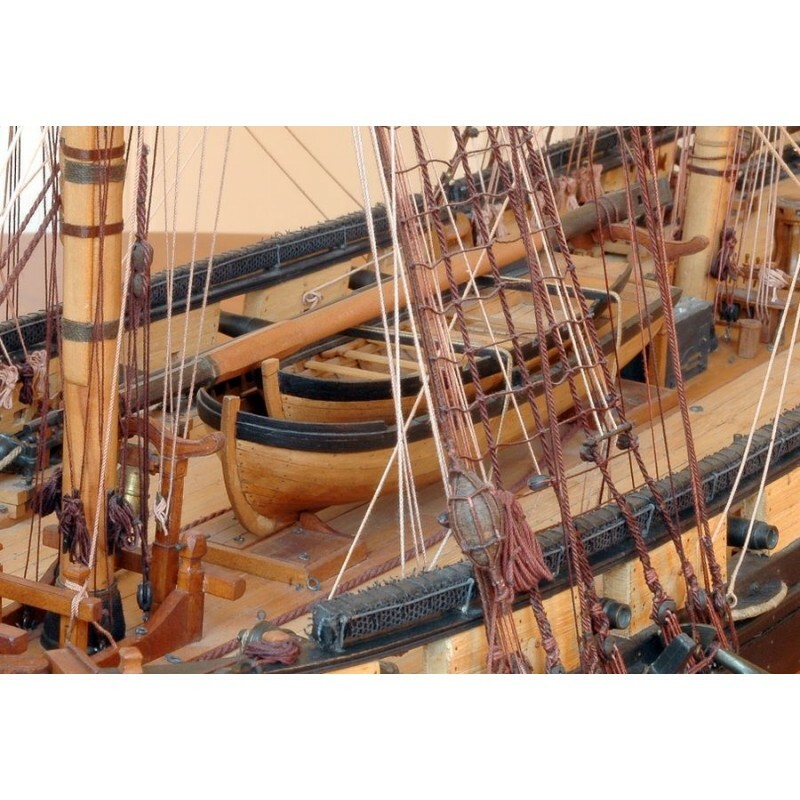 We are able to relive the adventures of Le Cygne, although her career was brief, through the reports of her captain ship's lieutenant TROBRIAND. 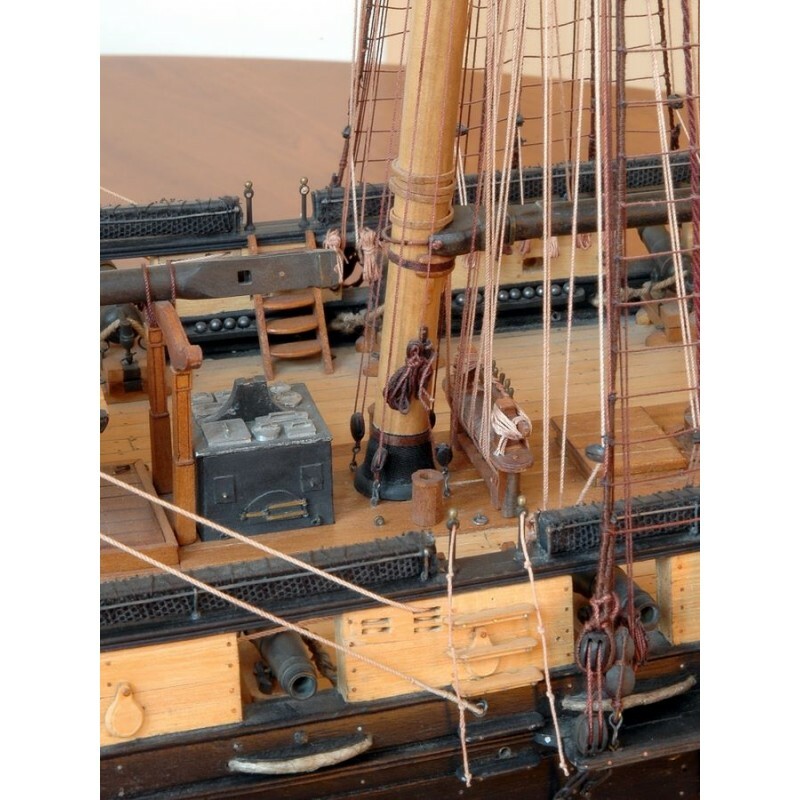 These powerful engines of war (the weight of Le Cygne's broadside guns was superior to the celebrated Belle-Poule's broadside) would slip through the British blockade on stormy nights to disturb English commercial activities or carry supplies to the French colonies. 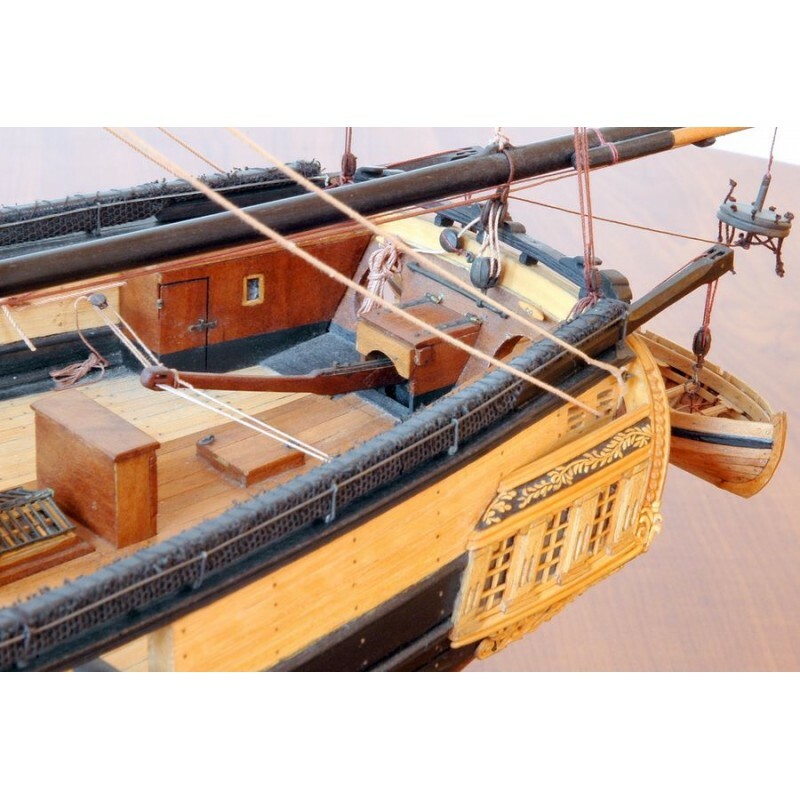 As is the case in our other monographs, the directions given allow the ship's model builder to choose between constructing a model of Le Cygne or one of her sister ships. 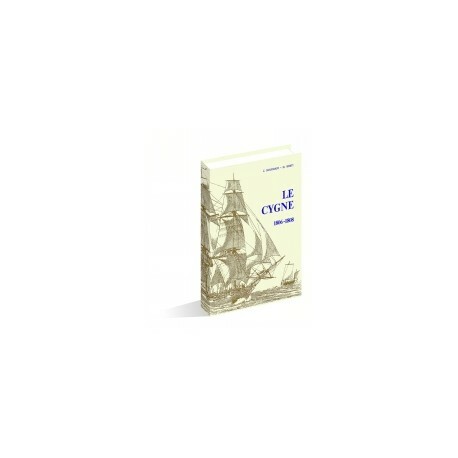 - Separate list of fifty-seven 24-pdr brigs whose characteristics are identical or similar to those of Le Cygne. 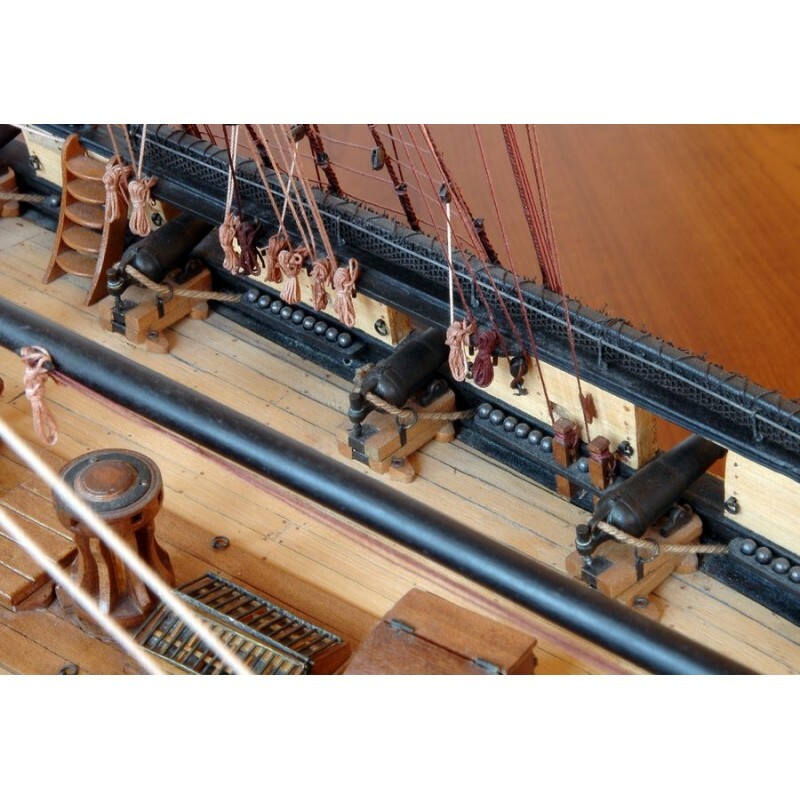 - Detailed commentary with all necessary explanations of the 19 plates at 1:48 scale and on the drawings of details at 1:24 scale. 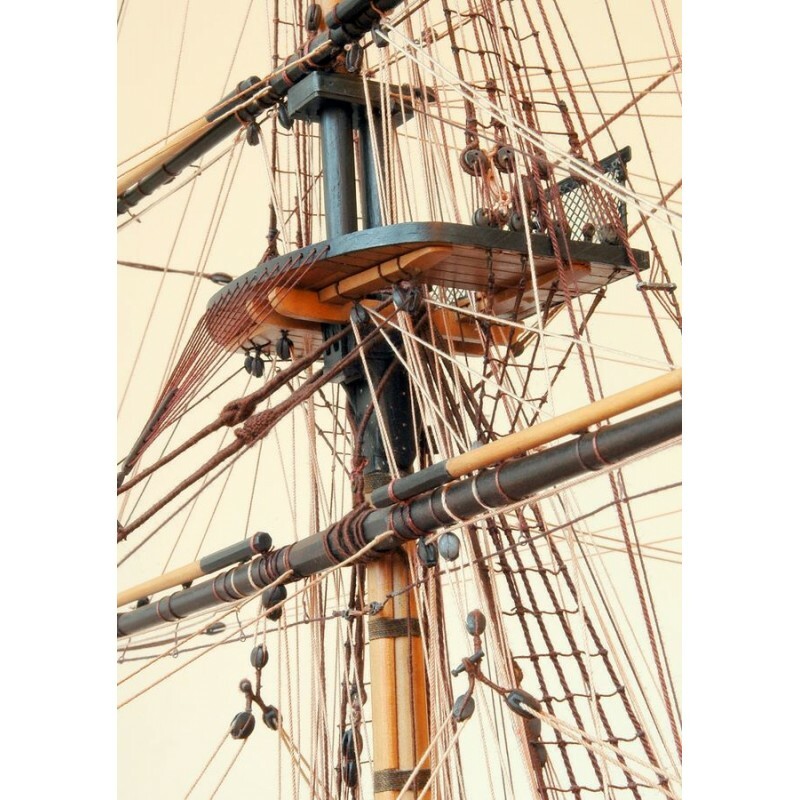 - Complete glossary of terms for elements of fitting and rigging.